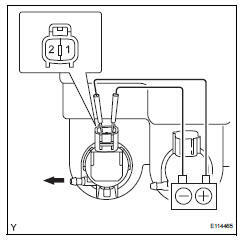 Pull the washer inlet of the washer jar and pump upward. Then remove it from the windshield washer jar and pump. 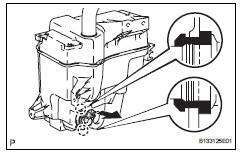 Remove the washer hoses from the windshield washer motor and pump assembly, and drain the washer fluid into a container. 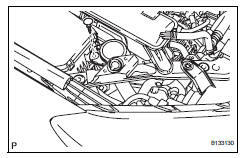 Remove the 3 bolts. Then remove the washer jar and pump. Pull out the washer motor and pump from the packing of the washer jar. 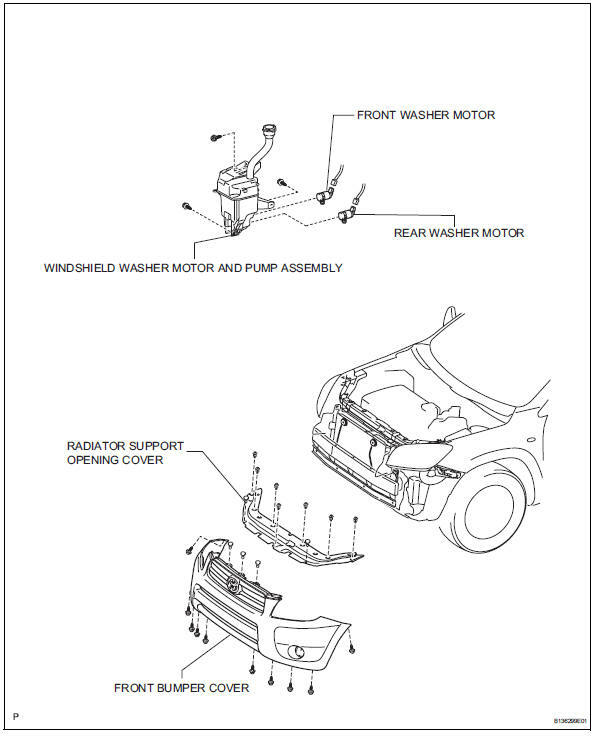 This check should be performed with the windshield washer motor and pump installed to the washer jar. Fill the washer jar with washer fluid. Connect the battery's positive (+) lead to terminal 1 of the washer motor and pump, and the negative (-) lead to terminal 2. 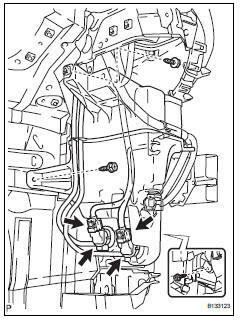 Check that washer fluid flows from the washer jar. 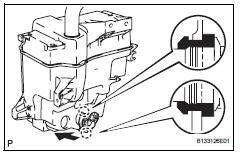 Ok: washer fluid flows from the washer jar. 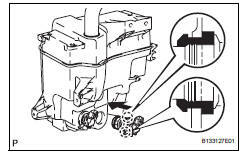 If the result is not as specified, replace the washer motor and pump assembly. Install the windshield washer motor and pump to the packing of the washer jar. 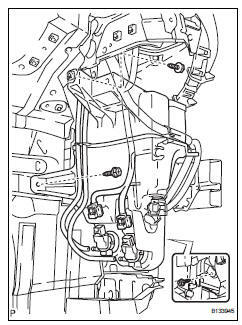 Install the windshield washer jar and pump with the 3 bolts. 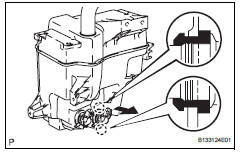 Connect the washer hoses to the washer motor and pump, and fill the washer jar with washer fluid. 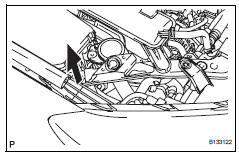 Install the washer inlet of the washer jar and pump to the windshield washer jar and pump. Install the washer inlet of the washer jar and pump with the clip.